This romantic apartment has been completely refurbished and has been decorated with taste and attention to detail. The main colour is white, which combined with the other pastel colours and the parquet flooring, gives the property a warm and cosy feel. The 38m2 apartment is capable of accommodating up to 3 people and is situated on the ground floor of a traditional building (without a lift) just 10 minutes from the Coliseum. You enter directly into the apartments main space, a living room that features a large single sofa-bed, an LCD television and a dining table and chairs. 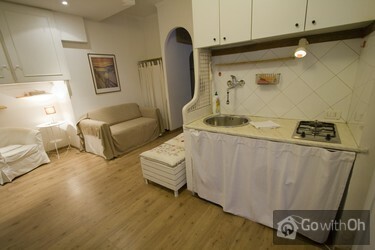 Here you will also find a modern and well-equipped kitchenette. Through the patio window you can reach the buildings interior courtyard. The bedroom is nicely decorated and features a double bed and a chest of drawers. 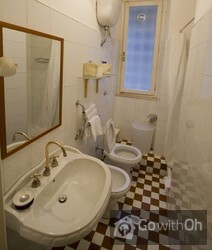 Last but not least, the nicely decorated bathroom features checkerboard floors and a box shower. 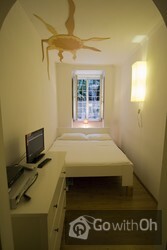 The apartment also has Wi-Fi internet throughout. 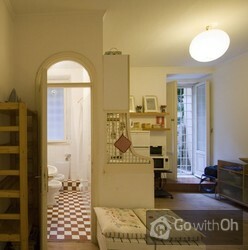 The apartments fantastic location will allow you to reach almost all of the citys places of interest on foot. The area is well-served by various bus lines and just 10 minutes walk from the apartment you will find the Colosseo metro stop (line B). In the surrounding area you will find numerous shops, bookstores, wine bars and restaurants where you can sample some genuine Italian cooking. Late check-in between 22:00 and 00:00 available for an additional charge of 20. 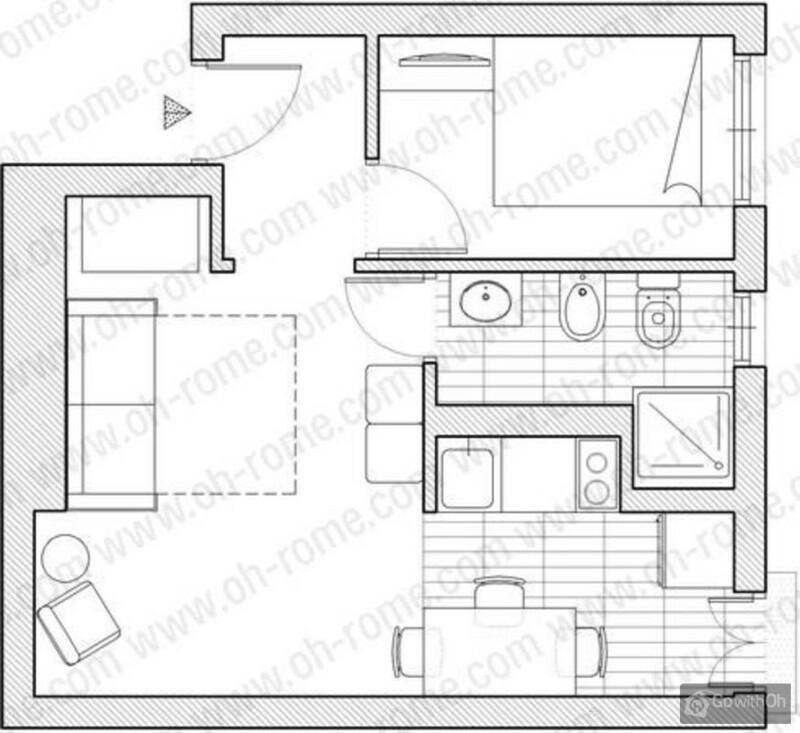 Appartement idéalement situé près du colisée.Un peu défraichi, besoin d'un petit rafraichissement ou d'un grand lessivage. El apartamento es muy acogedor, y su ubicación no puede ser mejor sin embargo está muy dejado, le vendría bien una mano de pintura y sobre todo una limpieza a fondo, porque aunque el bidé y el wc estaban limpios la bañera estaba tan sucia que tuvimos que poner una funda de almohada para poner ...los pies, y la funda del sofá (que es el colchón) la tuvimos que quitar porque daba miedo acostarse sobre ella, había incluso ropa sucia en el bombo de la ropa. 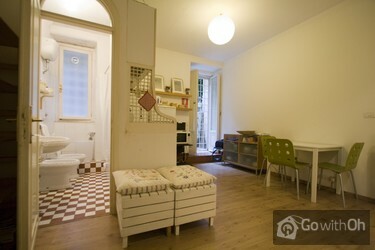 Solucionamos lo de la ducha y el sofá, sin molestar al dueño para no perder tiempo de visitar Roma. De veras que si está limpio el apartamento es perfecto, y la persona de contacto muy agradable.